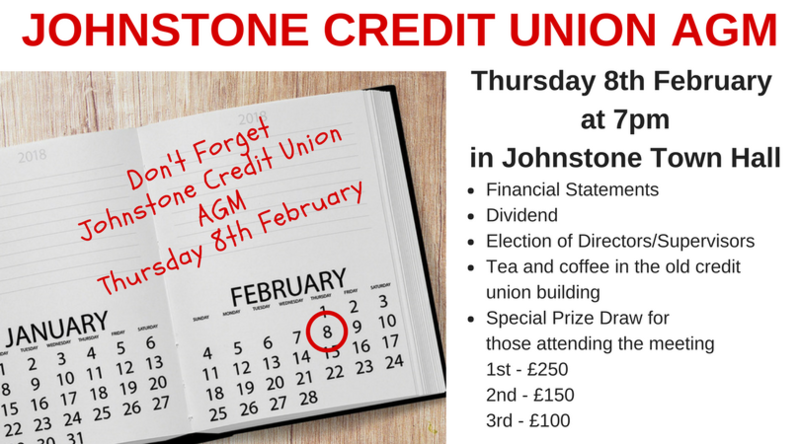 Don't forget the AGM is this Thursday 8th at 7pm in Johnstone Town Hall. Looking forward to seeing as many members as possible and all member who attend will be entered into a special prize draw. Come along, have your say and find out what's happening in your credit union.